Do exercise programs for kids really work? You are here: Home / Evidence-Based Living / Do exercise programs for kids really work? Nearly 12.5 million children – or 17 percent of the U.S. population ages 2-19 – are obese. As a response to this growing problem, schools and community groups have launched intervention programs designed to get kids moving. But do they work? A new meta analysis published last month in the British Medical Journal was designed to answer just that question. It included 30 studies on exercise programs for children published worldwide between January 1990 and March 2012. Studies in the review measured the effects of intervention programs that targeted children under 16 years old and lasted for at least four weeks. To be included, studies had to definitively measure levels of physical activity in children throughout the day – not just during the intervention class period – with devices like motion sensors. In each case, the investigators expected that the programs would increase the children’s overall daily physical activity. The review uncovered some surprising evidence: programs designed to encourage increased physical activity among kids didn’t work. On the whole, the programs increased children’s overall physical activity levels by about 4 minutes a day – even though the programs themselves ranged from 30 to 90 minutes in length. 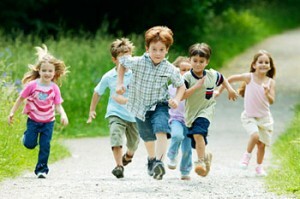 One explanation is that children unconsciously compensate for the energy they use during structured activity programs by being doing sedentary activities aftewards, Brad Metcalf, a research fellow and medical statistician at Peninsula College who led the review, told the New York Times. Another explanation is that many of the programs took place after school, replacing a time period when children are typically most active anyway. This analysis did yield some clear results: that we need to come up with additional strategies for encouraging physical activity among children. What a brilliant write-up dude. To my view exercise program is really handy not only for adults but also for kids as well. After all whatever allocation you have shared here simply makes me glad from all side. Thanks dude.